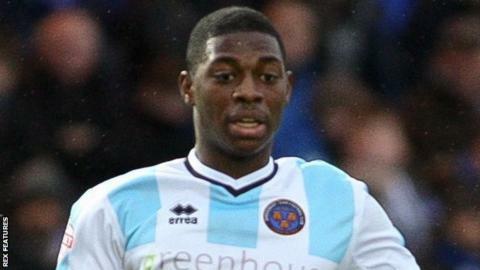 Shrewsbury Town have re-signed winger Sullay Kaikai on loan from Crystal Palace until the end of the season. Kaikai scored five goals in 14 League One games for Shrewsbury earlier this term after joining on a four-month loan deal in September. The 20-year-old has made one appearance for Premier League club Palace, but has not featured this season. "We have got a really talented player in the building," Shrewsbury manager Micky Mellon told BBC Radio Shropshire. "He's still our top goalscorer- that's how valuable he was to us. "He's a good kid, he was very, very keen to come back."